Dominyka was born in Kaunas, Lithuania and first moved to the United States when she was 6 years old. She began training at the ripe age of 9 years old in a Gracie Humaita Affiliate in New Jersey. Though her introduction to Brazilian Jiu Jitsu was rocky, she eventually found her way. She transitioned to training with Team Lloyd Irvin a few years after she began, so she could experience training with challenging female competitors that were around her size. Dominyka eventually discovered that World Champion Black Belt Emily Kwok was teaching near her neighborhood and began taking classes with her, noticing an immediate improvement in her technique and mental fortitude within the sport. It was Emily who first brought Dominyka to the Marcelo Garcia Academy in New York. She began competing seriously under MGA, and became a consecutive Worlds gold medalist, winning blue belt adult Worlds at 14, purple belt Absolute at 15, and two brown belt medals at ages 17 and 18. It was at Marcelo's Academy that Dominyka earned her belts from blue all the way to black. She was promoted to black belt in January of 2015 at the age of 19, becoming one of the few people to receive such a high rank at such an early age. That following Summer, Dominyka went on to win her weight and absolute in the IBJJF World Championships, becoming the first rookie black belt to double gold, as well as the first and only European. Nowadays, Dominyka works as a BJJ instructor in the city of New York. She is also a full time student attending Columbia University awaiting a Bachelor's in Sociology and Visual Arts. In June of 2015, Dominyka began campaigning for the equal pay of men and women competitors, in response to the IBJJF's BJJ Pro tournaments. The campaign included a petition signed by over five thousand people calling the IBJJF to action in order to change their prize disparity. In response, the IBJJF provided the top ranking male and female athletes within the BJJ community an equal payment based on their cumulative points at the end of the year. 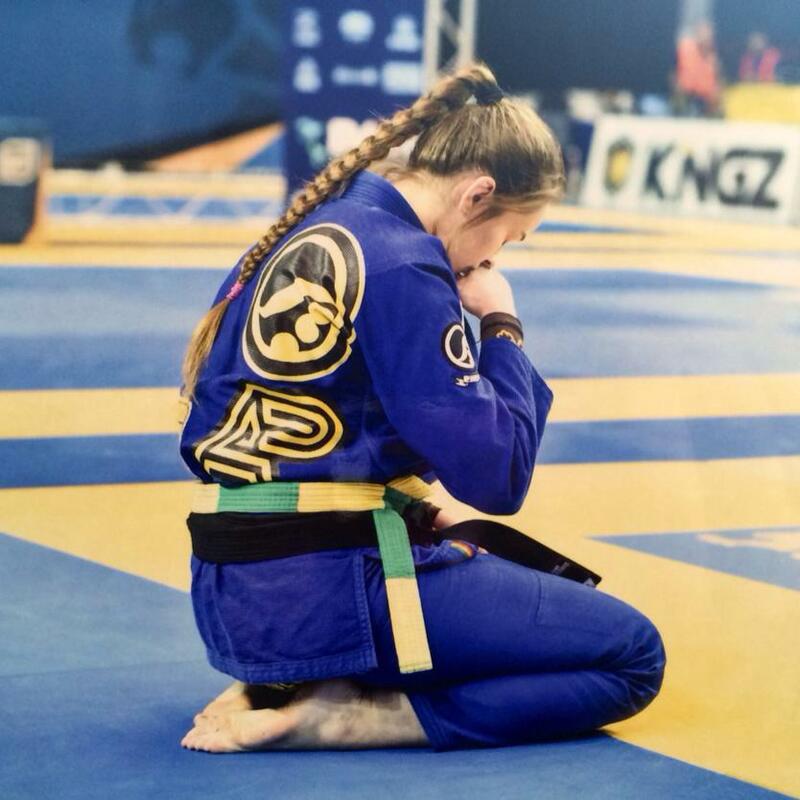 Today, Dominyka continues to fight for women's inclusivity and rights within BJJ. In July of 2017, Dominyka and her good friend Callie Brennan decided to create a platform for women to come together in the east coast to train, bond and grow as grapplers and humans. This idea led them to found Rag Doll Camps, an organization dedicated to providing women from all over the world with a camp experience based on wellness and empowerment through grappling.